The new Captain America movie starts tomorrow, and comic fans are very excited. 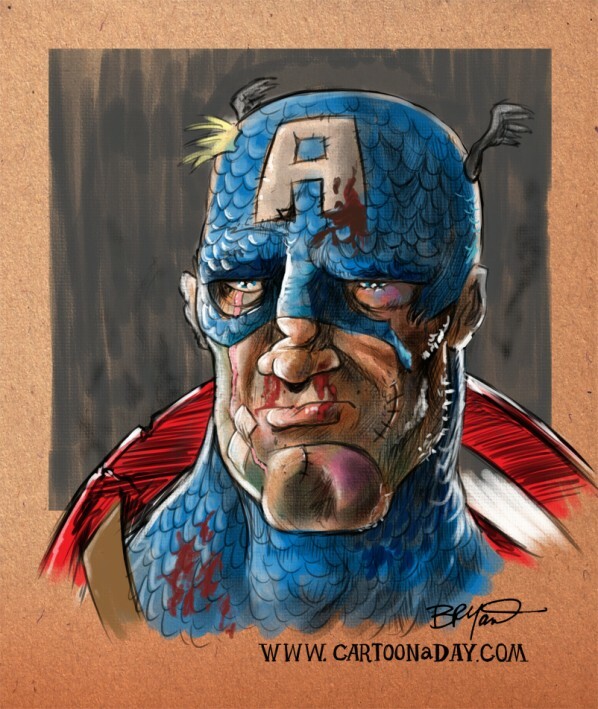 I’ve been a Captain America fan for years, so today’s cartoon is of Cap, after a long day of battle. I also aged him a bit, since he’s actually around 89 years old (depending on which lore you accept), since he volunteered to fight the Nazis during WWII. He enlisted in the army at an approximate age of 18 in 1940. The short version of the story involves a Super-Soldier serum, and experimental military project, a daring sidekick named Bucky, foiling of a Nazi plot to takeover the world, an airplane crash in the North Atlantic, thought dead but frozen in an iceberg, and finally discovered by the Modern Day Avengers and thawed out. Below is the same Captain America Cartoon without the ‘Blood’. Below is the same Captain America Cartoon without the color. 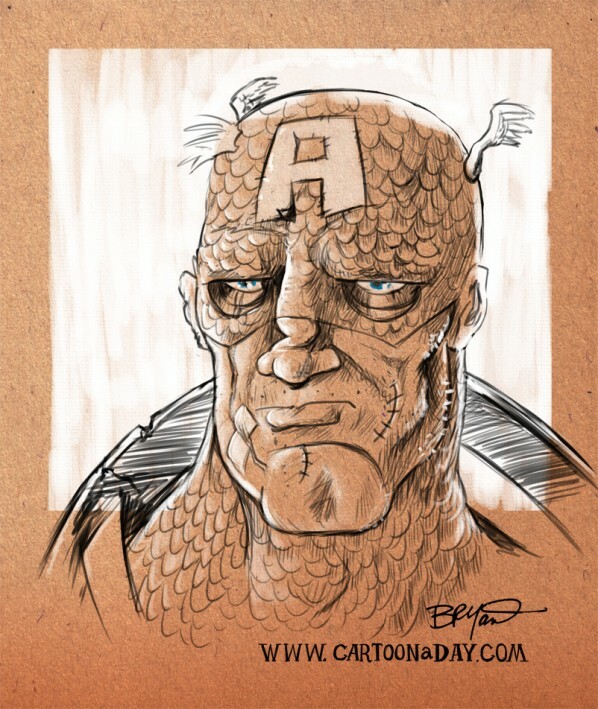 A cartoon portrait of comic Book character Captain America. The sketch of the Captain indicates he was in a tough fight and appears weary.